It’s an old joke, but it always makes me think of my Dad. If he were a dog, this would describe him pretty well. He’s been through a lot and is still here to tell the tale. Dad was born in 1940 in west Texas. As he says, only God and the jackrabbits would want the place. He got a tough start in life, contracting polio when he was just a toddler. He has a few memories of being in an iron lung at Scottish Rite Hospital in Dallas. His parents were too poor to go with him, so he remembers riding the trains with the soldiers and they would give him nickels and see him safely back and forth to the hospital. On one trip home, he and some other boys were playing with matches. His t-shirt caught fire burning up the side of his torso and past the elbow on the inside of his arm. One of the other children put out the fire with a mop. Back then, the country doctors didn’t know much about treating burns and would let the burn fuse and then cut it apart. He eventually went back to Scottish Rite for proper treatment of the burns. Casts and many skin grafts over several years left him with a massive scar and healthy respect for fire. At the age of 13, during a surgery to put a plate in his foot affected by the polio, he died on the operating table. He was revived and refused to have any more surgeries for his leg. That plate is still in his foot today. Don’t think all this held him back. He was forever in trouble and full of mischief. As the youngest of three boys, he got into everything his older brothers did and a little more on his own. He and his cousin Alan were particularly prolific. He tells about convincing Alan that they should give each other Mohawks. Alan went first – and dad backed out of the deal once he saw the results. His aunt was not happy with Alan’s new hair style. In another prank, the boys stuffed some old clothes to make a dummy and put it on the toilet for Alan’s mother to find. Needless to say, it scared her to death. She thought a bum had gotten in the house and was using the bathroom. Or the time the boys found a box of balloons (condoms), blew them up and tied them all over his uncle’s model T. His teenage years were no better. I think he had 97 speeding tickets the first time he lost his license. His mother made the mistake of taking his car to the store and was pulled over before she made it around the block. If you’ve ever met a polio survivor, one of the things that stand out about them is an incredible drive and strong will. They were taught that if you don’t move it, you lose it. My Dad personifies this trait. 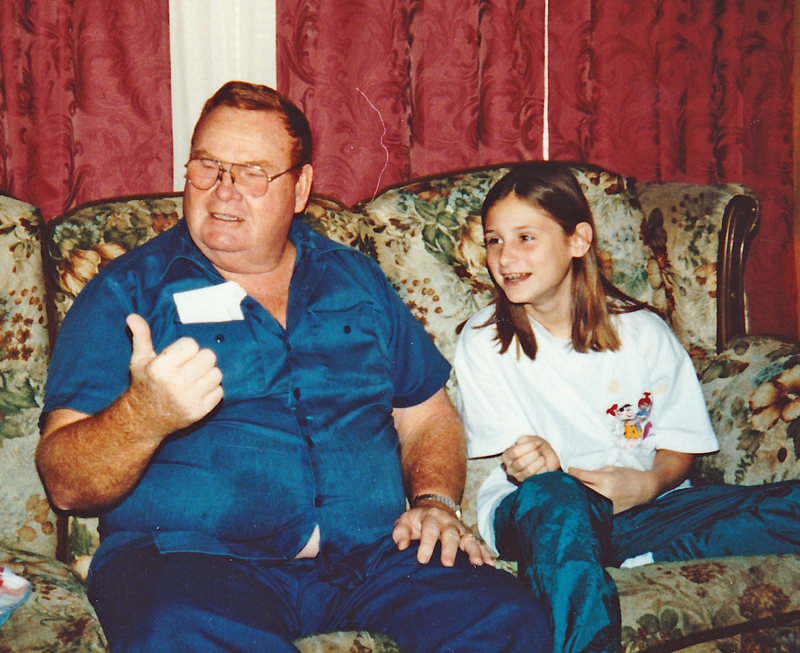 Daddy has always been a hard worker and one of my favorite memories of him as a young child had to do with him taking me to work. He drove a delivery truck all over Texas and would sometimes take me along. We would sing “Hit the Road Jack” and he would buy me Cracker Jacks and YooHoo to drink. I would stand on side of him with my arm around his neck and think I was the luckiest little girl in the world. 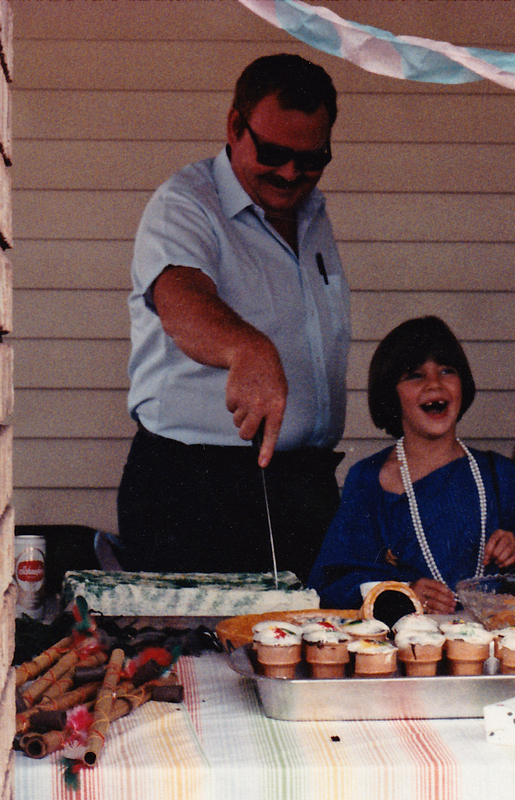 Always my champion, he still brags about the best “bowl” cake he ever ate. When I decided to go to college for the first time at age 32, my dad and my husband were my biggest cheerleaders. Just 2 days after the start of my first semester at LSU, my Dad suffered a massive heart attack. He barely survived and would have several more over the next few days. Stints were put in and blockages cleared. By the time it was done, he had only 1/3 of his heart working, but he was still here and saw me graduate college with honors. 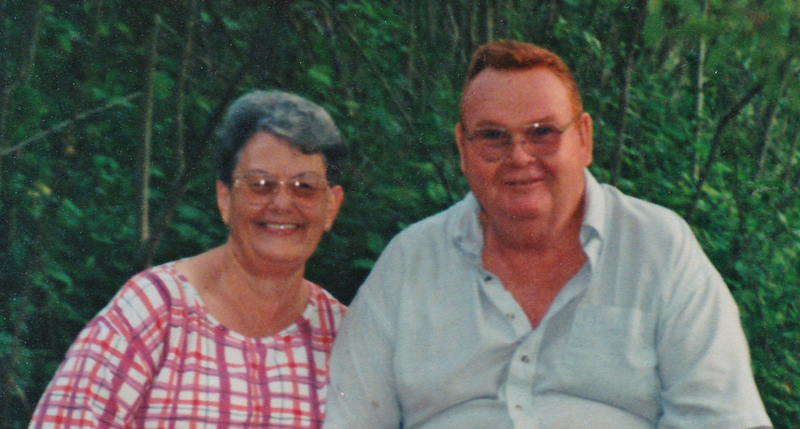 Within a few months of my graduation, he was diagnosed with a massive abdominal aortic aneurysm. He was a poor candidate for surgery, but came through with flying colors though he says we better never allow him to be put on a machine again. It’s been nearly 20 years since then. He was there for both daughters’ weddings, graduations from high school and college, and the birth of both of my grandchildren. He is a great-grandfather 6 times over. He’s a master farmer on Farmville and loves doing jigsaw puzzles on his computer. I get regular calls from my stepmom “tattling” on him for something or other. The most famous incident was flipping his riding lawnmower and having to wait for the gas to run out to get out from under it – because he disabled the safety feature that would have shut off the engine. Some things never change. Whenever I want to getaway and truly relax, I go to see my Dad. When I’m with him, even at the age of 52, I am the luckiest little girl in world. Happy Father’s Day, Dad! I love you with all my heart. Dad trying to cut a birthday cake I made for him. I frosted a cardboard box. Dad and my youngest daughter. I’m sure he was telling about her cheating on computer games. 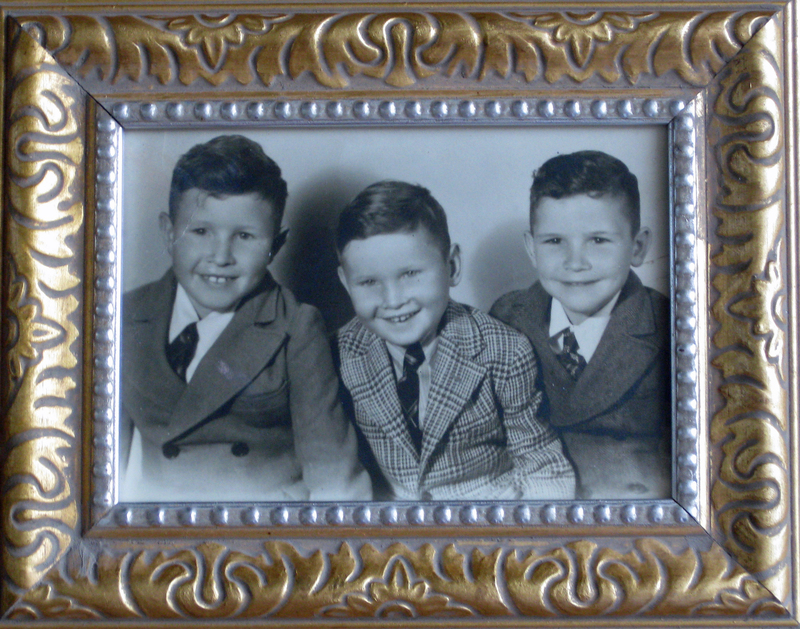 My dad and his brothers – he’s the cute one in the middle. What a sweet, touching and funny story. You are so lucky…I MEAN REALLY LUCKY…to still have your father around. Maybe he would be interested in adopting 63 year old daughter.? Seems like we would be a good match. Thanks for sharing this and all your wonderful tales with your devoted followers. Hope to be in Baton Rouge in the next 2-4 weeks and hope to see you then. Hugs to you and your family. Loved this post about your dad. Great heartfelt writing. « A blessed life…and really great hair.